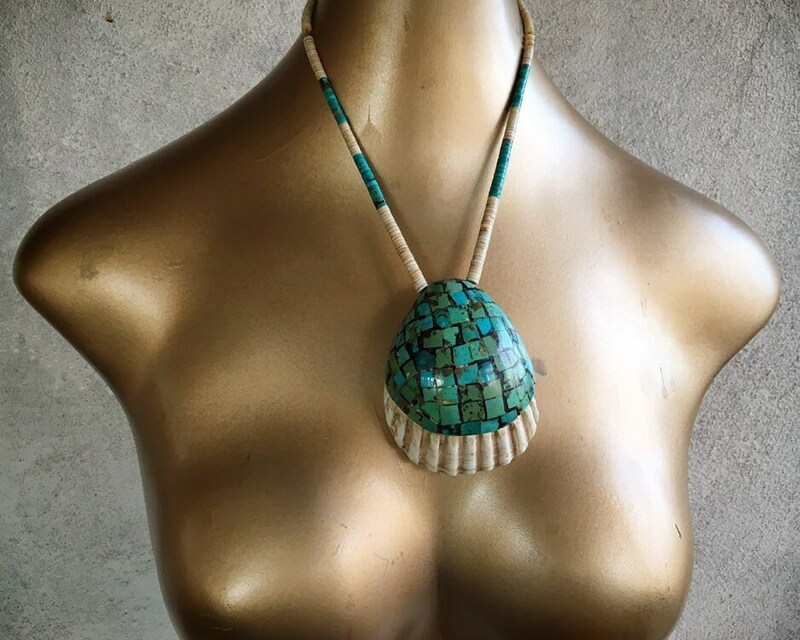 This 1950s Santo Domingo inlaid turquoise shell is highly collectible, with a beautiful American turquoise and shell heishi that is thin and all hand shaped. 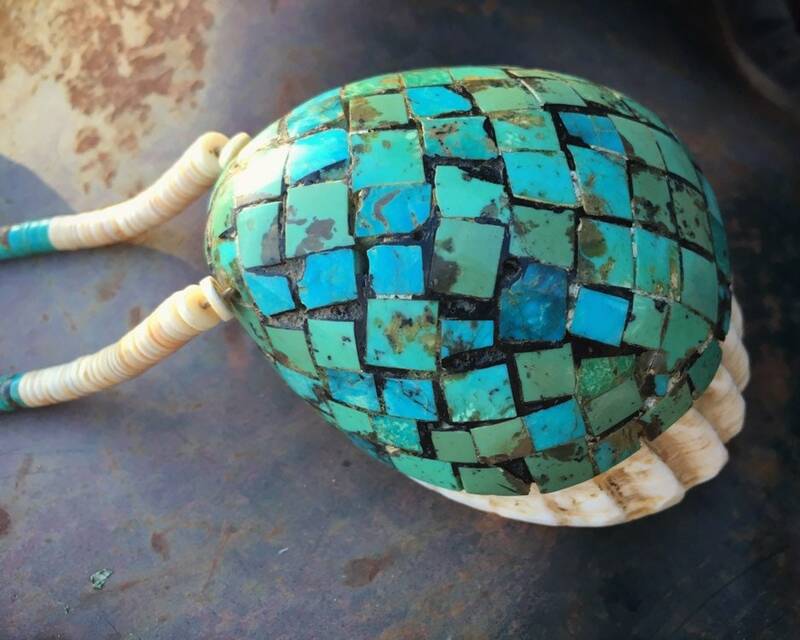 The turquoise inlay into the shell is in hues ranging from creamy green to blue. 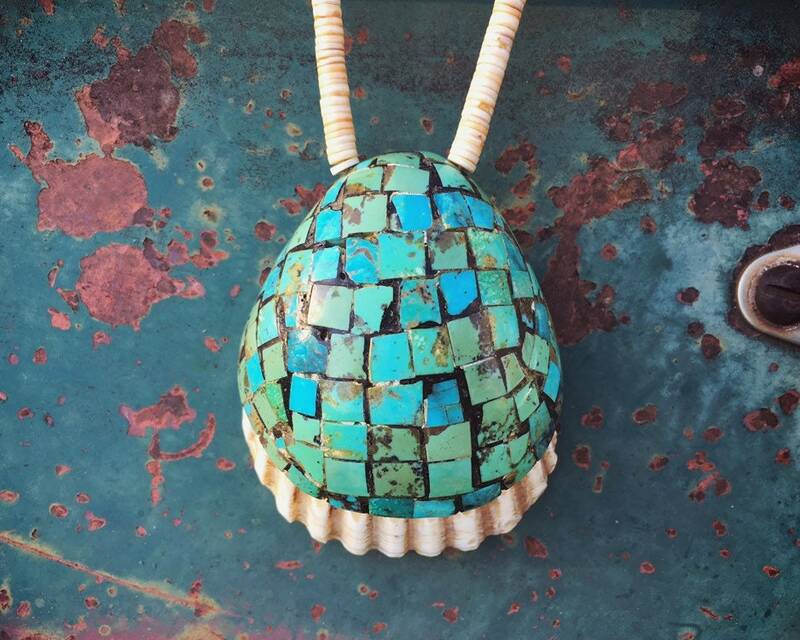 The piece is strung with wax twine. 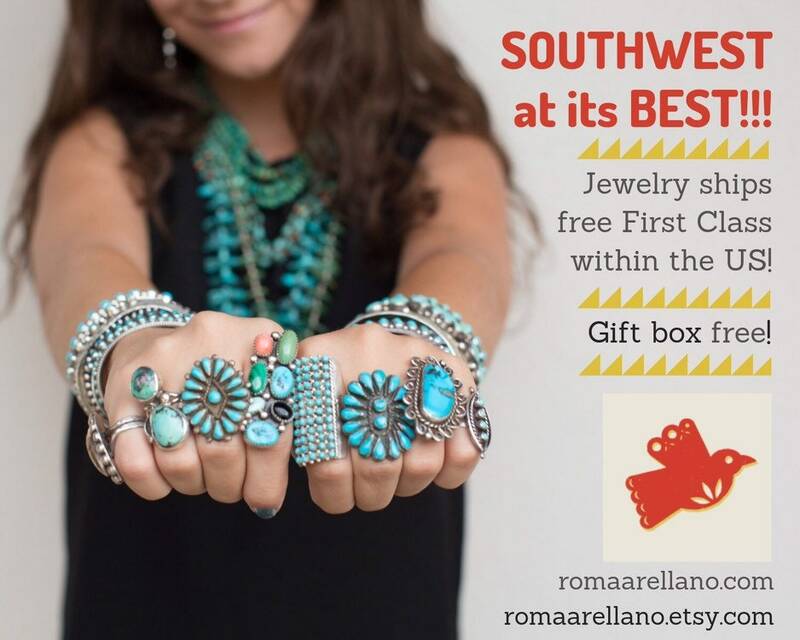 Findings are not sterling silver. 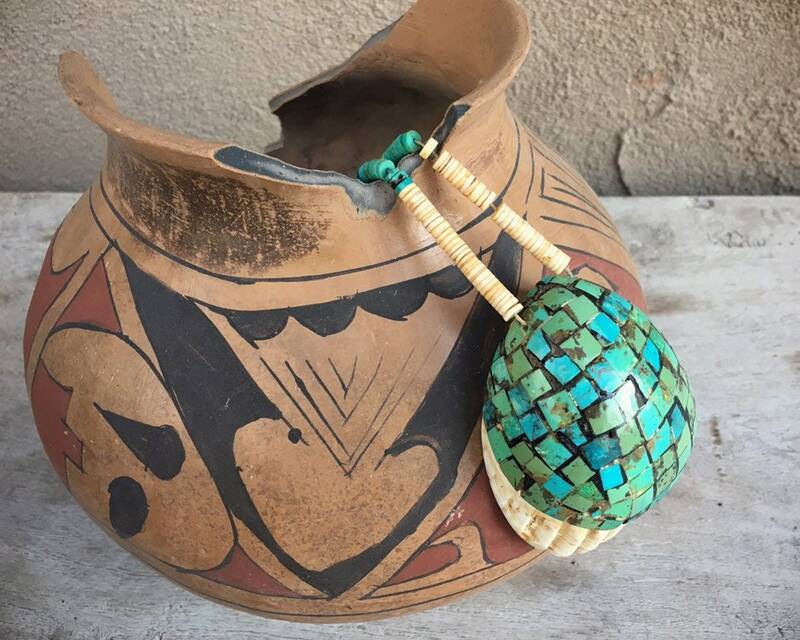 Great vintage piece for the old soul who loves not only vintage turquoise, but also a piece from one of the oldest jewelry making pueblos in all of the Southwest and New Mexico. 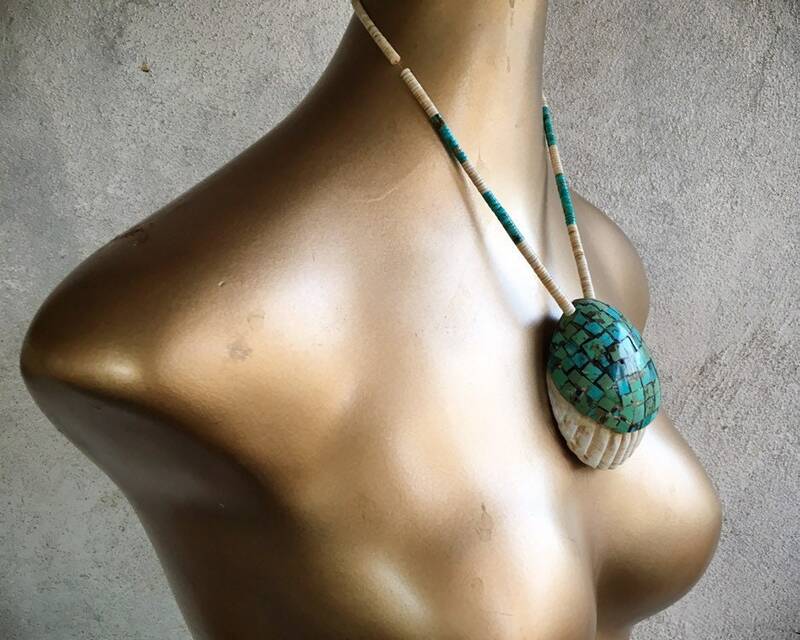 Is meant to wear high on the collar, either for a man or woman. 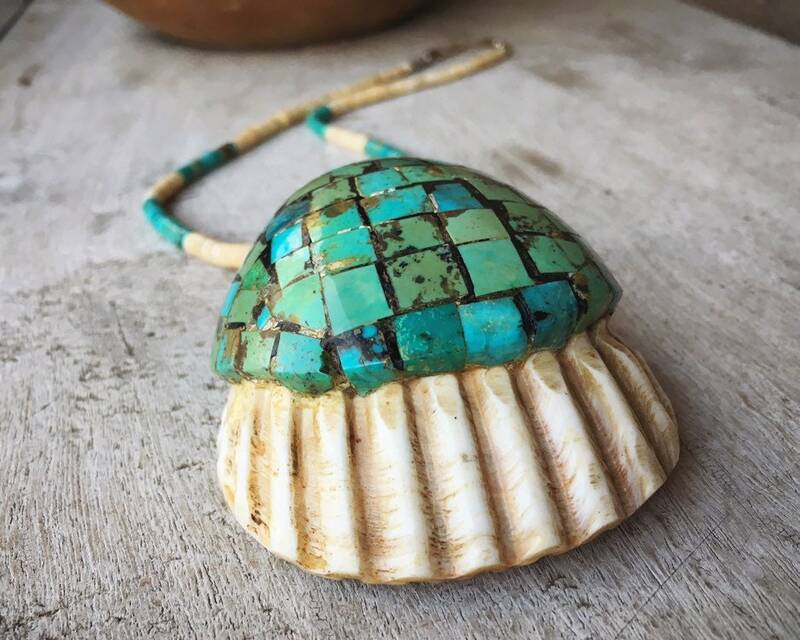 This is not a necklace that would have fallen long and been decorative but rather a ceremonial style for men or women. 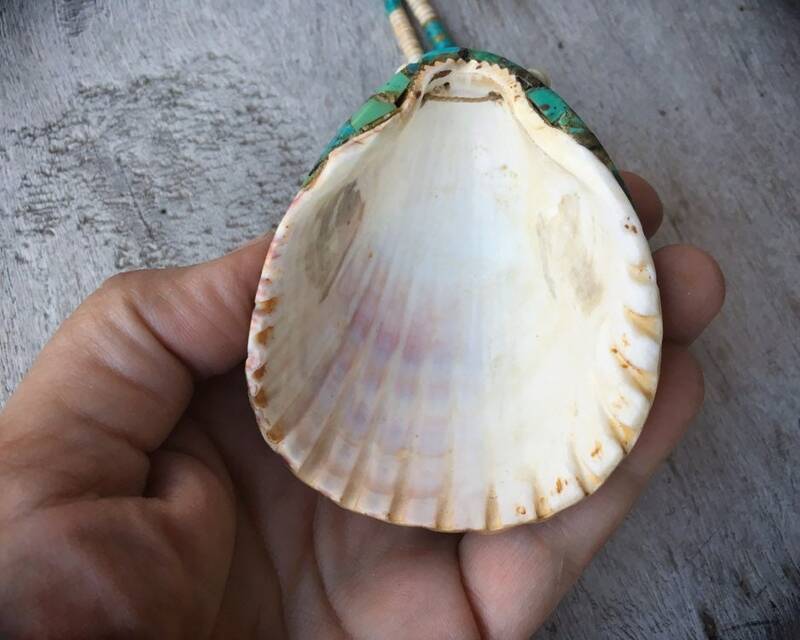 The pendant measures 2-3/8" wide by 3" long and sits about 1" from the chest. 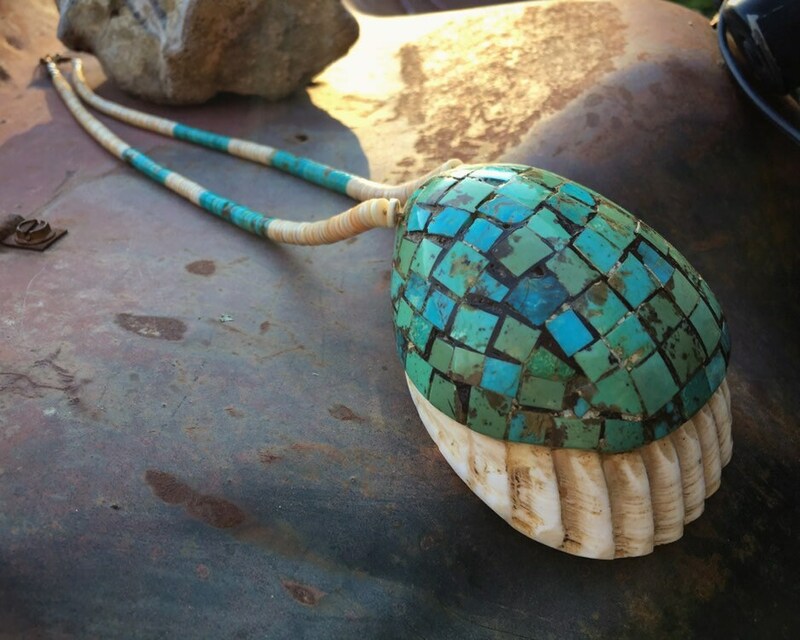 The necklace part is closer to 17" not including the lenght of the pendant, and hangs closer to 22" long. 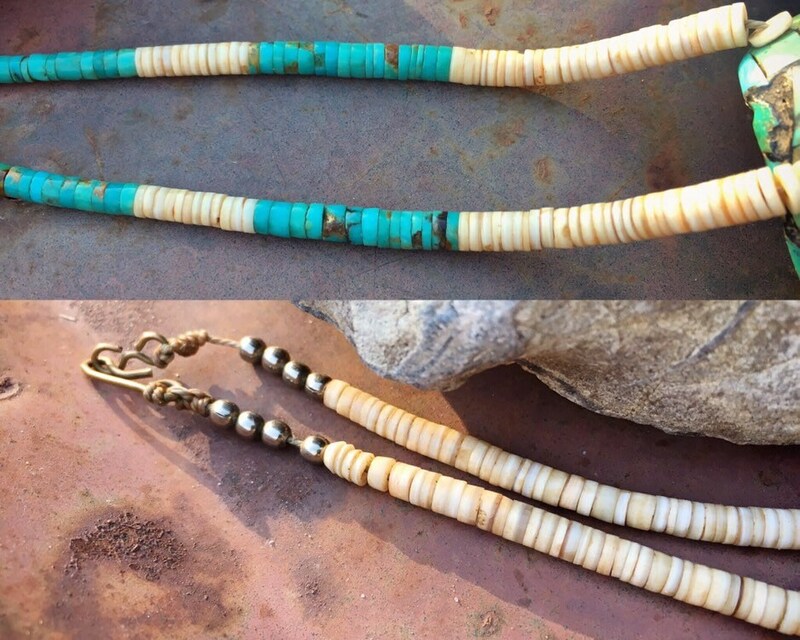 Unique piece of New Mexico Native American jewelry.